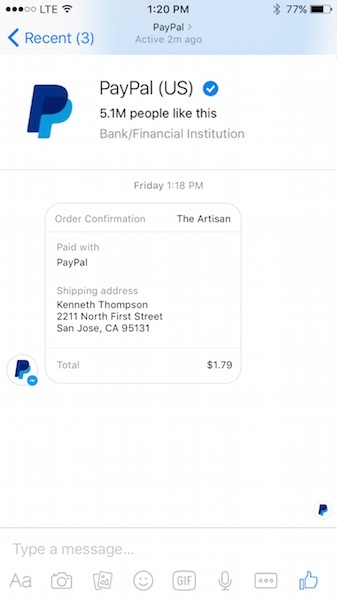 Still, gaining a foothold in Messenger is a big step for PayPal, which could benefit from its exposure to Messenger’s sizable user base. PayPal has 192 million users worldwide, the company says. Meanwhile, Messenger reached a billion users earlier this year, and reports claim that about 40% of U.S. mobile users are now on Facebook’s messaging platform.